English as Second Language (ESL) and Faculty of Social Work. Given the health and mental benefits of sporting activities, the University of Regina, also has a good focus on sports which is just as strong as their academic focus. The university takes part in the sports league for Canadian universities, Canadian Interuniversity Sports. The University has students from all over the world studying with them. In a bid to encourage the relationship between her and her international students, the University of Regina, in a bid to improve has added two new scholarships specially designed for international students who are entering the school for the first time. This scholarship is available for students with outstanding academic achievements with an early-conditional admission average of at least 85.00% and is starting their undergraduate programs at the University of Regina. Applicants must have a study permit and must be applying directly from a secondary school or its equivalent in their country. The applicants must be applying into a direct-entry undergraduate program. Applicants should be enrolled for nine credit hours in the semester of the award. The award is worth 3 000 dollars and is an automatic award. This yearly award is presented to the top three students in three specific regions as named throughout the world in three regions as specified throughout the world. The scholarship is automatically available for students entering an undergraduate degree in the Fall Semester. The scholarship is valid for four years and is worth 5 000 dollars. The students, however, must maintain the criteria for the scholarship while they are on it otherwise the scholarship will be terminated. The recipients are also invited every year to meet with the President of the University of Regina for a Circle of Scholars event. OTHER SCHOLARSHIPS: there are other scholarship opportunities for students of the University of Regina as found below. This scholarship is available for students of the University of Regina who are going to be participating in a University-related travel experience. After downloading the forms from the school website or the links given above, applicants are expected to submit their applications including all the application documents on the list as provided by the school through the link above to the University of Regina International. Applications must be submitted at a minimum of four weeks before the intended date of departure. The University of Regina International selects those to be awarded the travel grant. If an applicant is selected, such applicant is expected to fill out an acceptance form within thirty days after the money has been issued. This scholarship is available for studies at the University of Regina. This scholarship is available at the University of Regina for studies. It is designed for international students by the Canadian Bureau. 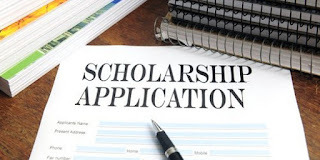 This scholarship is specifically designed by the Federal Government of Canada for studies in the University of Regina and other Canadian Universities. This scholarship is designed for the American citizens at universities. Applicants must have leadership skills and applied leadership position. This University of Regina scholarship is designed for Canadian citizens to study at universities, Canada. This scholarship is provided by Chinese departments for study in universities. The students of the University of Regina, Canada benefits from this fellowship. The University also helps her students to clear the bills of their education by providing assistance in the form of Student awards and financial aids. To be eligible, one has to be a fully registered student in the University. There are graduate assistantship positions available for registered students at the university. The online portal of the graduate awards as provided by the Faculty of Graduate Studies and Research is made available for applications and monitoring and tracking of applications as well. The SAMS is an online tool provided by the school for her students which they can use to search for and apply for the available awards at the University of Regina. Due to regularly scheduled maintenance, the SAMS site is usually unavailable between 9:00 pm and 9:15 pm every day.